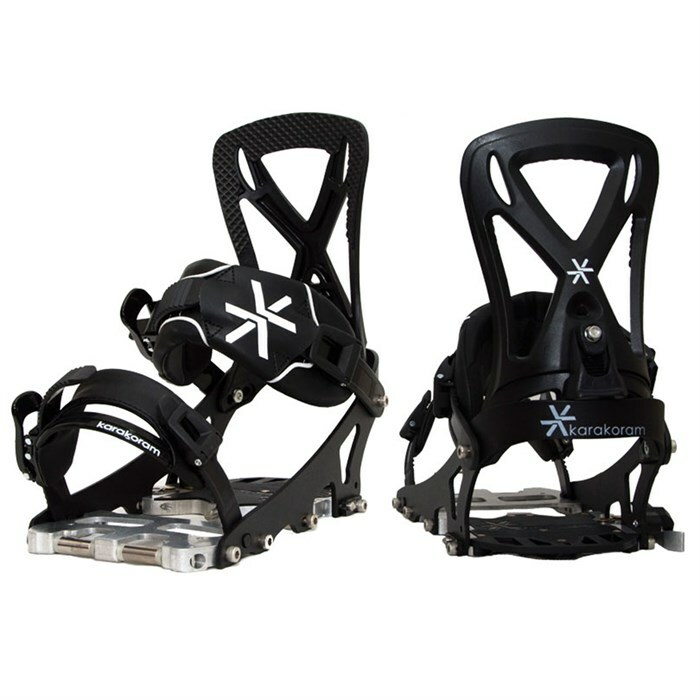 The Karakoram Split30 Splitboard Bindings are the tried and true work horse of the Karakoram line-up. For the past several years, the Split30 has conquered peaks, devoured uphill mileage and demolished a lot of pow. Karakoram features we have come to love can be found all over, like the Ride-Stride system for incremental high back adjustment for going uphill and riding down, a burly Ride Mode Interface that ensures your bindings are locked down and ready to shredy, and the Dual Height Riser and Heel Lock down for those awkward moments you need to break out your poles and skate-ski or side-step out of trouble. 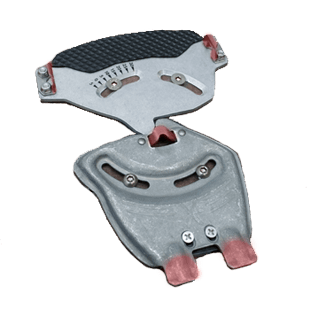 For a setup that has passed the test of time, check out the Karakoram Split30 Splitboard Bindings. 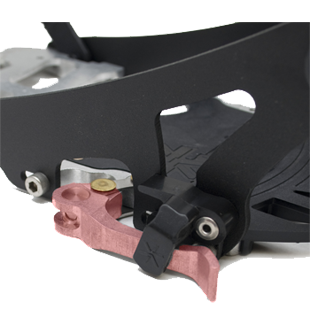 Sleeved Axles  Independent sleeves rotate freely on a fixed through axle (similar to a bike axle) for the stiffest and smoothest touring pivot. 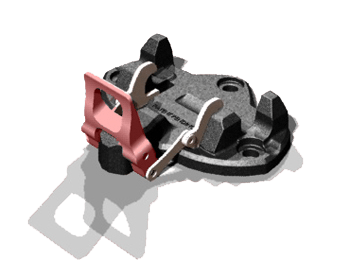 Heel Lever  Quick Release lever allows for quick and easy attachment or removal of binding to the Ride Mode Interface. 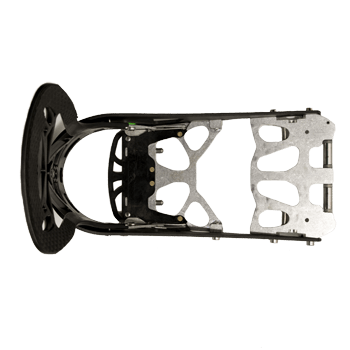 Ride-Stride Ride Mode  Allows you to preset your forward lean between 0° and 22° - in 2° increments - to give you better leverage on your heelside turn and make your ride down more powerful and enjoyable. 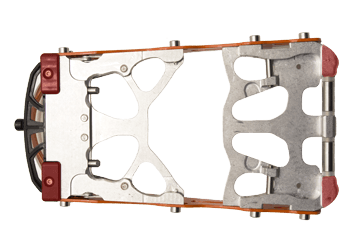 Wide Contact Points  Improve responsiveness between bindings and board - CNC machined parts have all unnecessary material removed to create the lightest splitboard binding available. Ride-Stride Forward Lean  Saving energy in the backcountry can be the difference between going for a second lap, going for a longer tour, or going home because you’re wiped out. 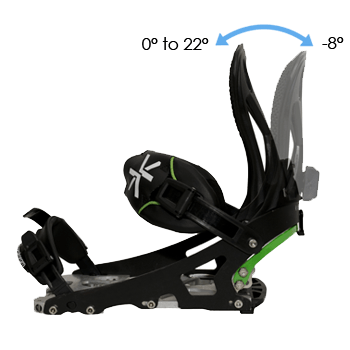 All Karakoram splitboard bindings come standard with patent pending Ride-Stride forward lean with a Walk Mode and a Ride Mode, to help you save energy whether touring or riding. 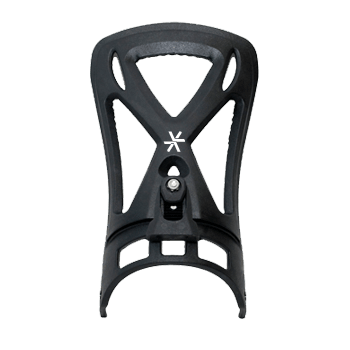 With Ride-Stride technology you don’t have to fiddle with small parts while your hands are cold to adjust your forward lean, just simply rotate the forward lean adjuster 90° between Walk Mode and your preset Ride Mode- set and forget. 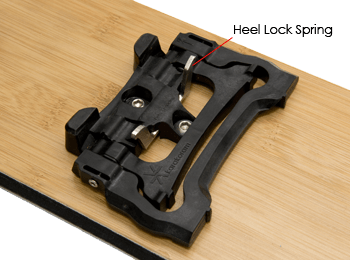 Ride-Stride is the fastest and easiest forward lean adjustment available. 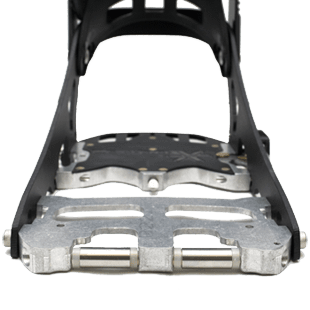 Open Binding Chassis  Binding can twist with torsional flex of snowboarding creating uncompromising board feel.